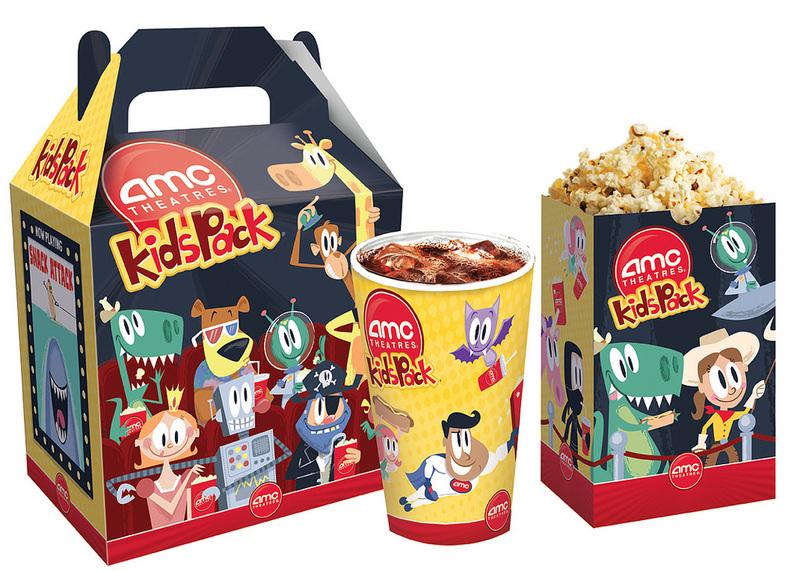 I got to redesign the AMC KidsPack for C3. 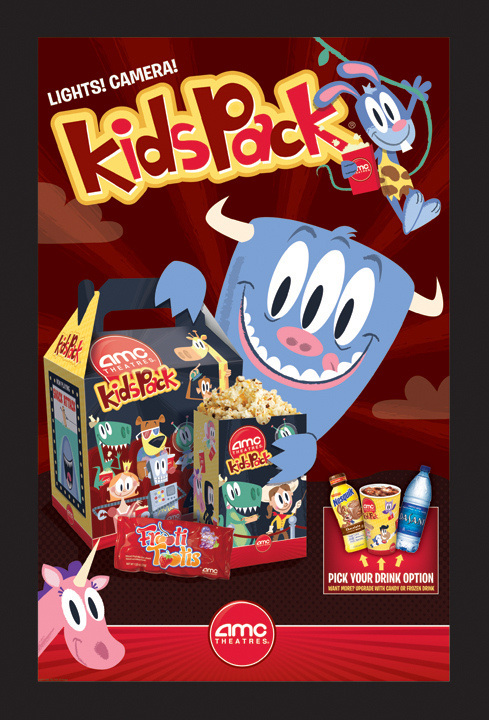 The pop corn bag and cup fit inside the box and the straw pops out a hole in the back of the box. 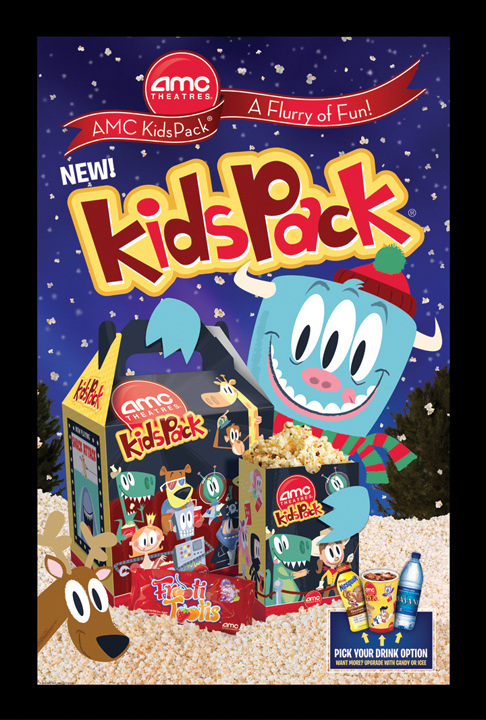 I got to help concept the packaging and do the illustration and design. I love it when I can put all my passions to work on one project!